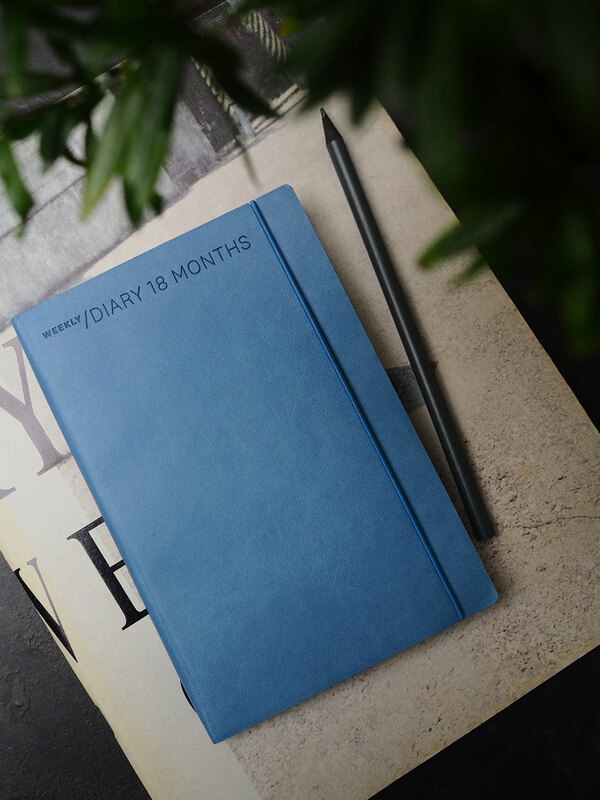 Soft, light and flexible, Flexy Work 18 months is the diary by Nava Design that covers a time span of 18 months and allows you to organize appointments, deadlines, commitments and holidays six months in advance: from July 2018 to December 2019. 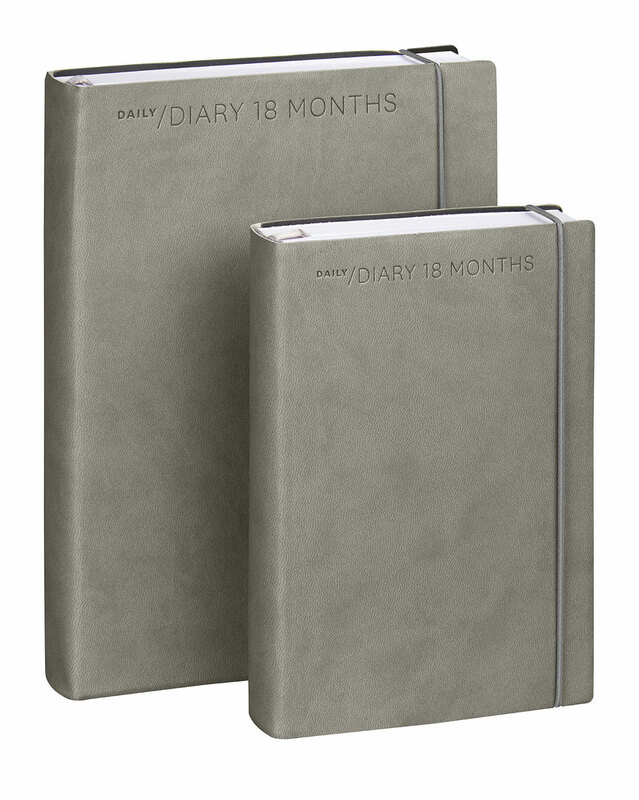 Practicality and versatility are the key words of this diary, which features a flexible cover made of pu, a round elastic band matching the cover and inscriptions like “Daily Diary 18 months” or “Weekly Diary 18 months” debossed on the cover. The cover colors have been chosen with extreme care to be elegant and original at the same time, never boring. 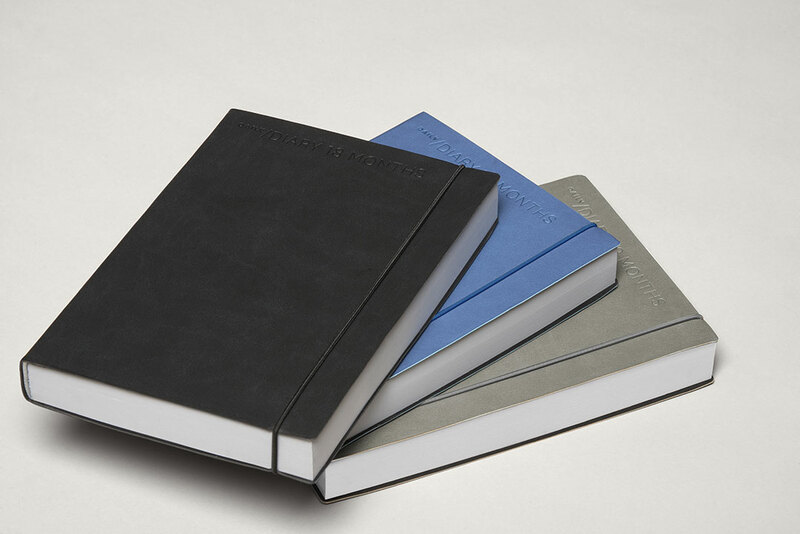 A classic black for the most rigorous ones, a light grey for those who face their days with style and a lavender to give a refined touch of color. 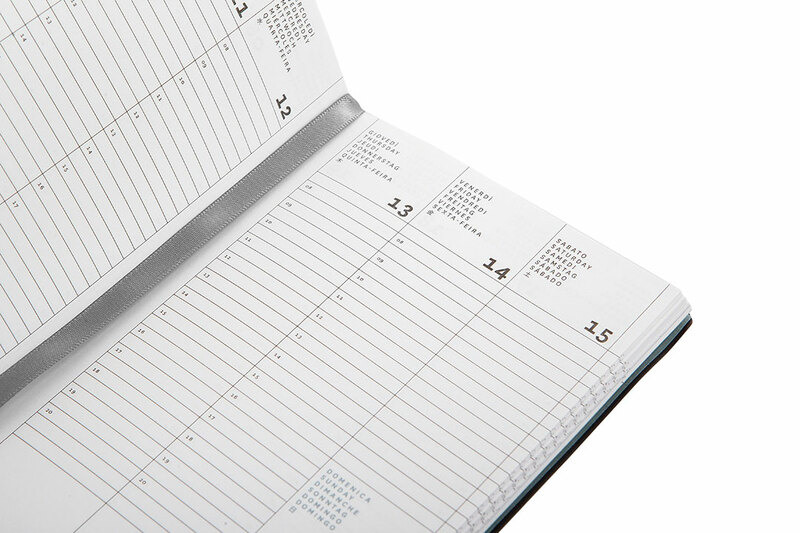 Flexy Work 18 months is available in many sizes to meet everyone’s needs. 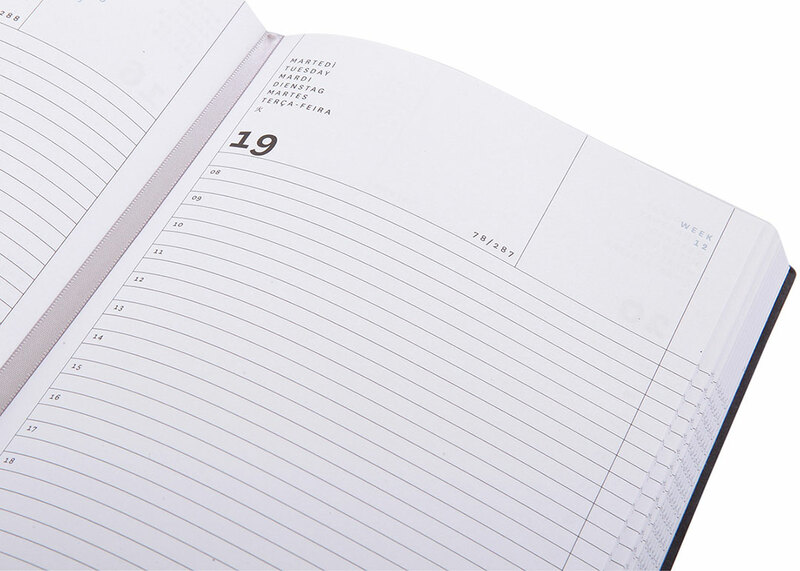 The daily version is available in the medium size (15 x 21 cm) and the small size (11 x 16.5 cm) and offers plenty of space by reserving an entire page for each day of the year. 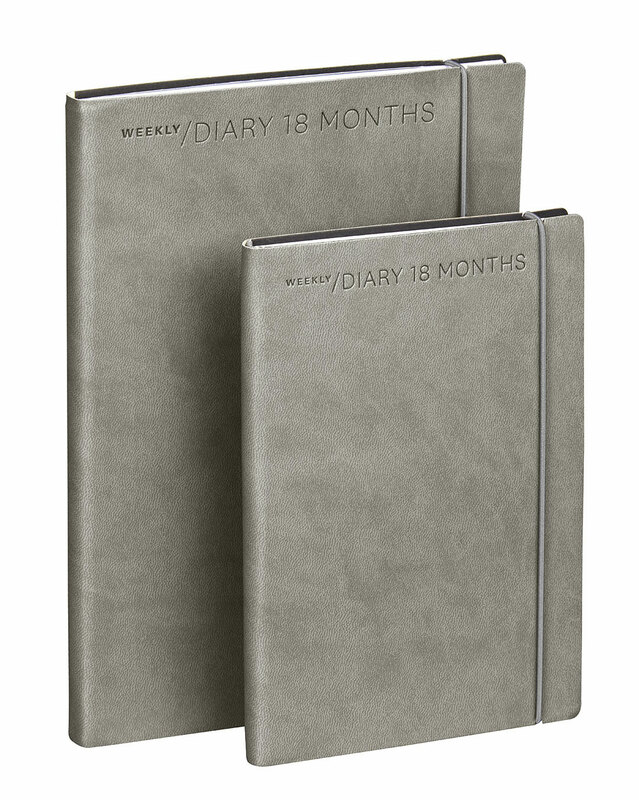 The weekly version, also available in the medium size (15 x 21 cm) and the small size (11 x 16.5 cm), is lighter and can be easily carried everywhere into bags and backpacks, without ever creating space problems.